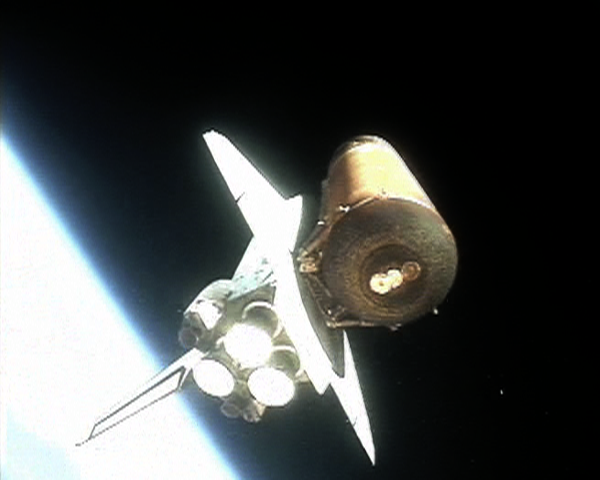 Space Shuttle Discovery seen with her external fuel tank as she climbs into orbit 3 seconds after solid rocket booster separation on STS-121, July 4, 2006. Photo from video from the right aft SRB camera. It looks like there are three circular areas at the "bottom" end of the tank. Two appear bright and reflective (and overlap) and a third appears dark. What are these areas called and what are their functions? It is an access hatch used during construction and maintenance. 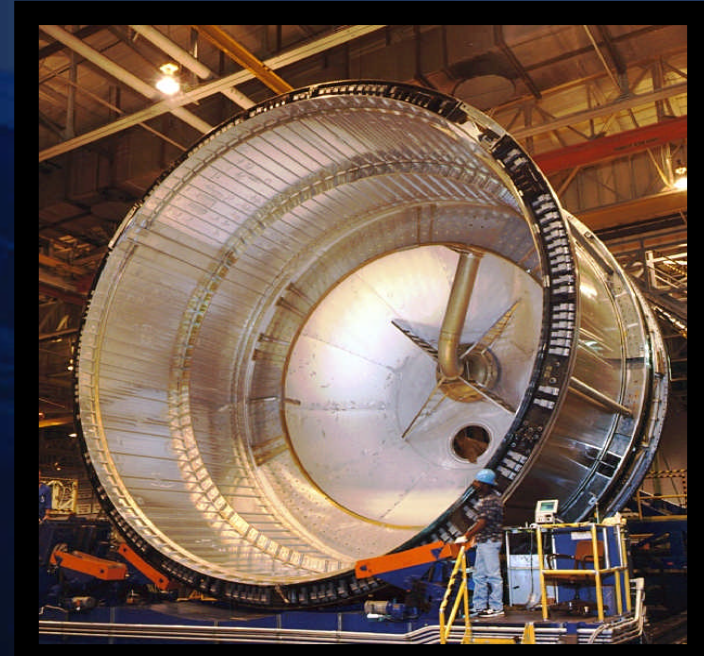 This part got at least some media coverage during the scrubbing of STS-121, when a Engine Cutoff (ECO) sensor, a fuel gauge, mounted behind that cover, inside the Liquid Hydrogen (LH2) tank, malfunctioned, causing that launch to be delayed, while the sensors were replaced. This is where the first image is from. Here and here are articles about the scrub. Some of those hatches/holes are covered with the insulation foam during manufacturing. Some pictures of a test article that are probably not representative of the actual tank but illustrate the covers quite nicely, that are underneath the insulation foam. 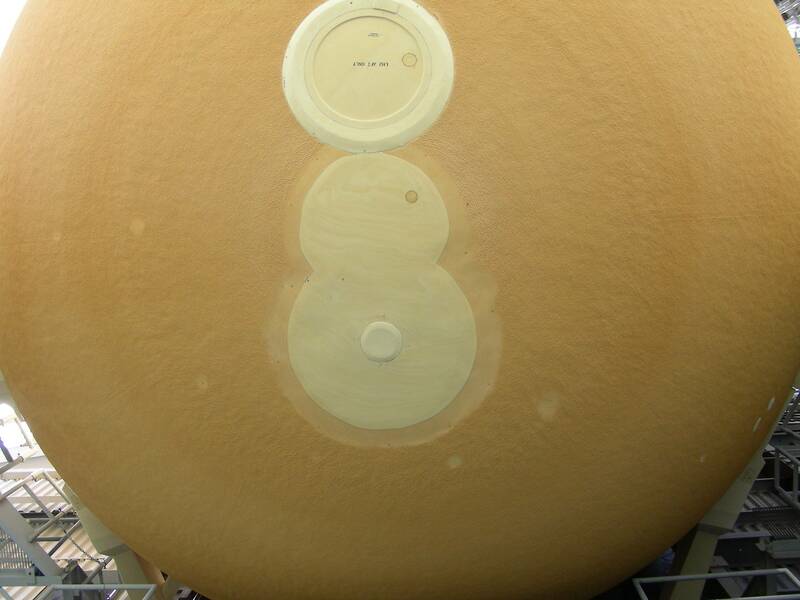 This part of the External Tank is called the "LH2 Tank aft dome". There are really two large circular penetrations on it. They are the ones offset from the center of the tank. A 45”-diameter manhole fitting, welded to the dome cap, provided a 36”-diameter clear access to the tank interior. The fitting featured ninety-two attachment points for mating to the machined aluminum manhole cover. The fifty-seven pound manhole cover measured 40.32” in overall diameter and 0.185” thick at the center. It provided an interfacing sealing surface with the manhole fitting, as well as a means for making a leak check of the primary seal. The other is the "siphon plate hole". 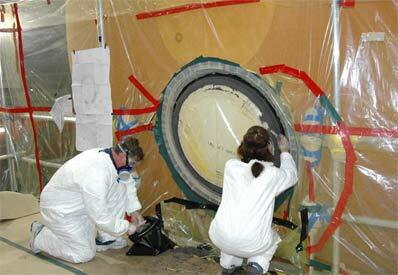 It's where this large device is mounted and was inserted during manufacture. Here is an inside view of the aft part of the LH2 tank, manhole at the bottom, siphon at the top. The 3rd circular feature in the center is an artifact of the manufacturing process and of the way the insulating foam was applied. Here is a picture I took of an ET on the launch pad, stacked for flight. The manhole is at the top and the siphon plate is at the bottom. BONUS Something to think about: Why wasn't the siphon in the geometric center of the tank bottom? Mouseover for answer. Because of the side mounting of the tank to the Orbiter with the engines mounted on the Orbiter, the acceleration vector was tilted away from the centerline of the tank. Not the answer you're looking for? 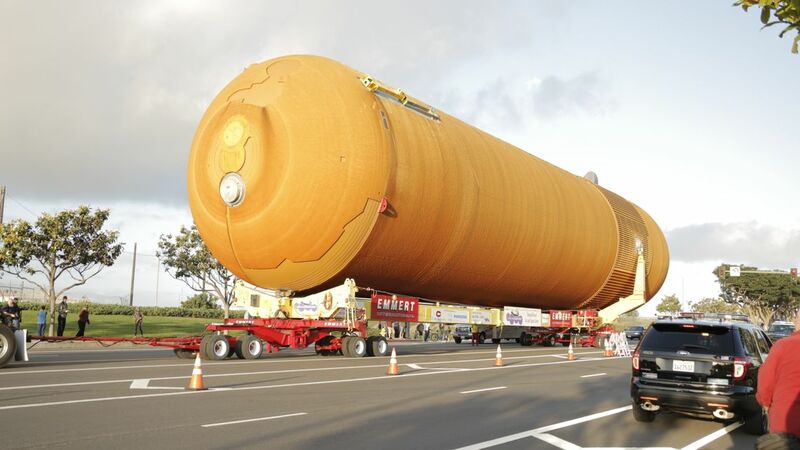 Browse other questions tagged space-shuttle identify-this-object external-tank or ask your own question. Did some of the Shuttle fuel tanks actually orbit? 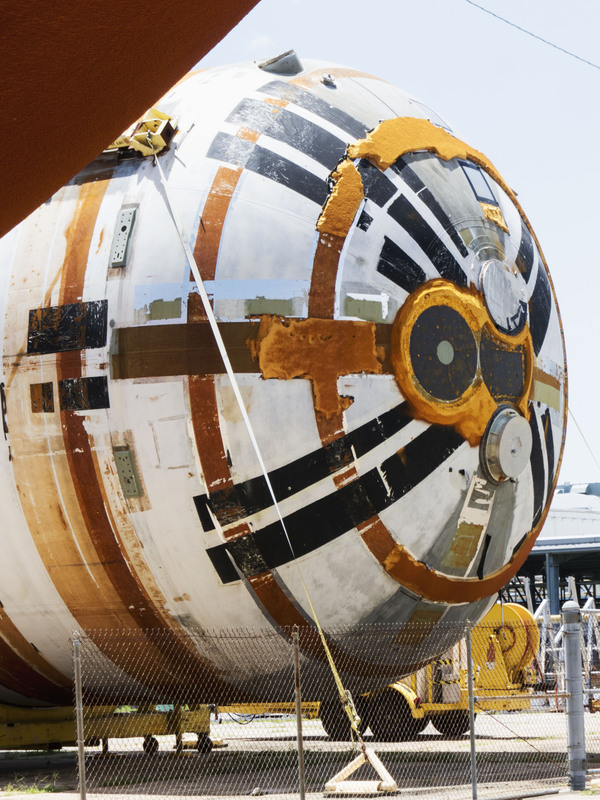 Why did the External Tank not have its own engines? 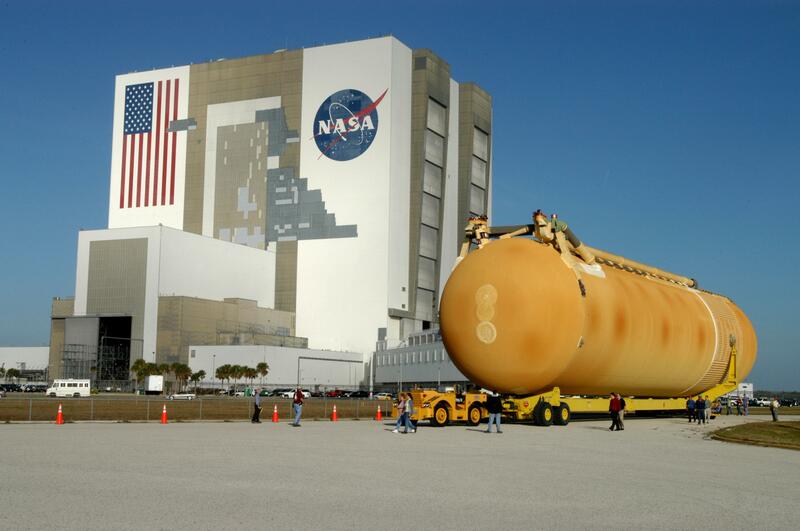 Why is the shuttle's external tank's metal skin painted the same dark color as the foam insulation? Challenger disaster: how full was the external tank at the time of destruction? How big of an external tank to replace the shuttle SRBs with more LH2 and LO2?